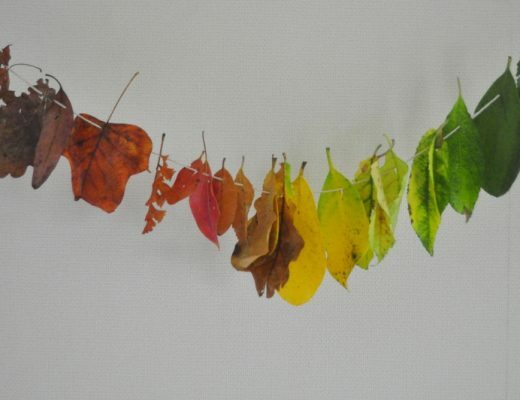 It’s that time of year when groups gather to celebrate. It often involves bringing a plate to share with others. It’s one of those Aussie customs you grow up with. Interestingly, if you haven’t grown up with the concept, the meaning can be a bit confusing. (Here’s an interesting post from Bob in Oz about the concept from a newcomer’s perspective). 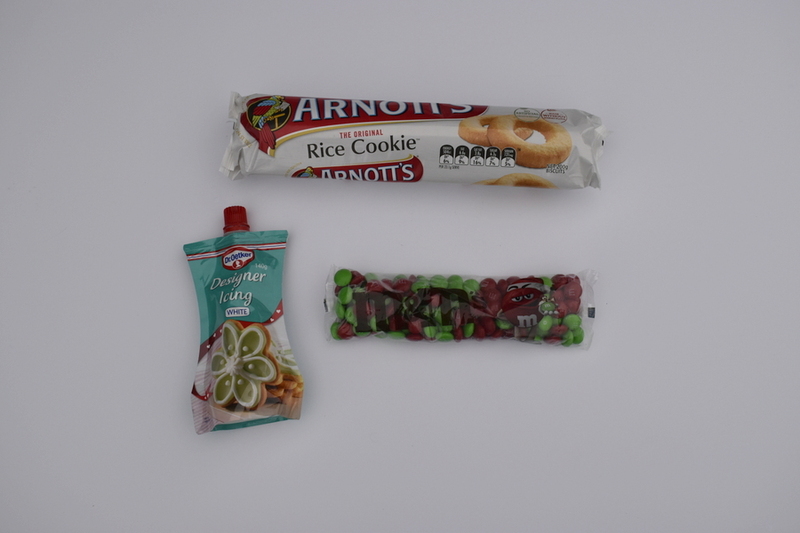 Aussies enjoy casual dining, and when everyone brings something to contribute, it makes it simple and easy. Depending on the occasion, this might mean snacks, dessert, or even a salad/meat dish. 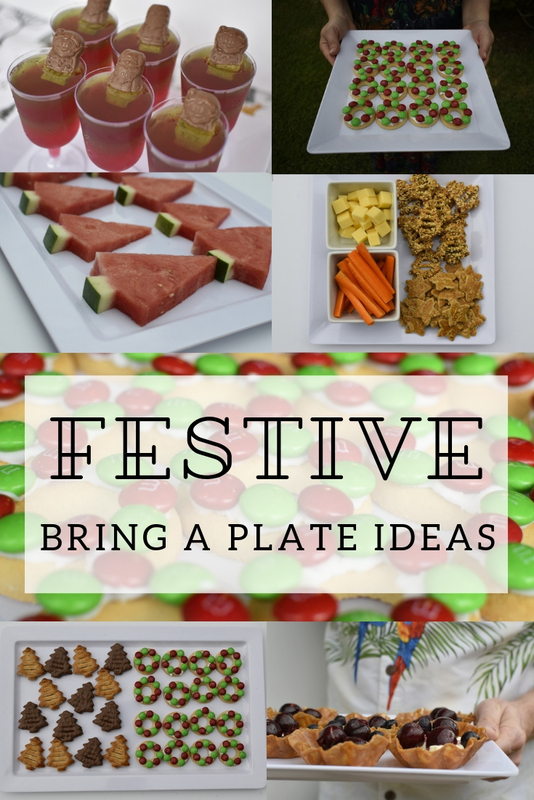 Most often with celebrations involving kids, “bring a plate” means a sweet or savoury snack plate to contribute to a gathering. 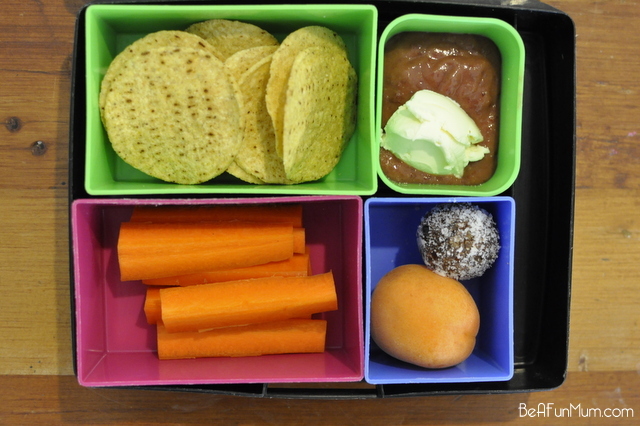 This time of year can be extremely busy, and having simple food ideas up your sleeve for different occasions is useful. 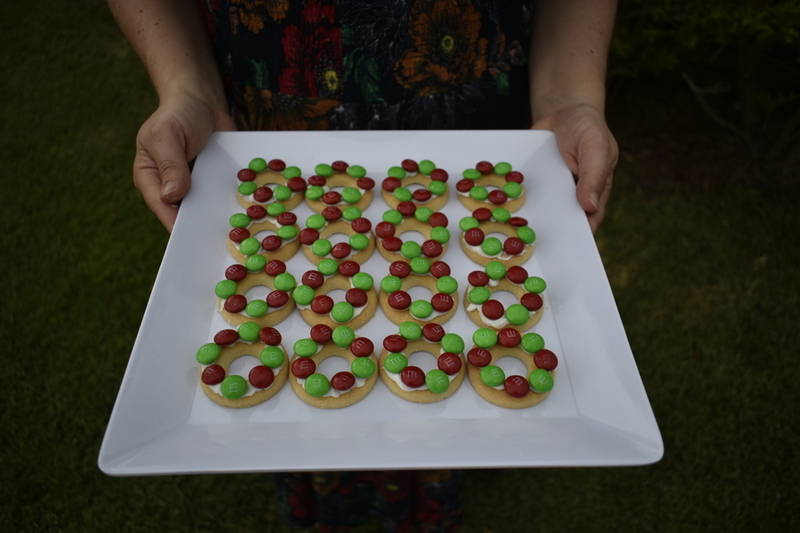 In partnership with Woolworths, I’ve put together six simple bring a plate ideas. 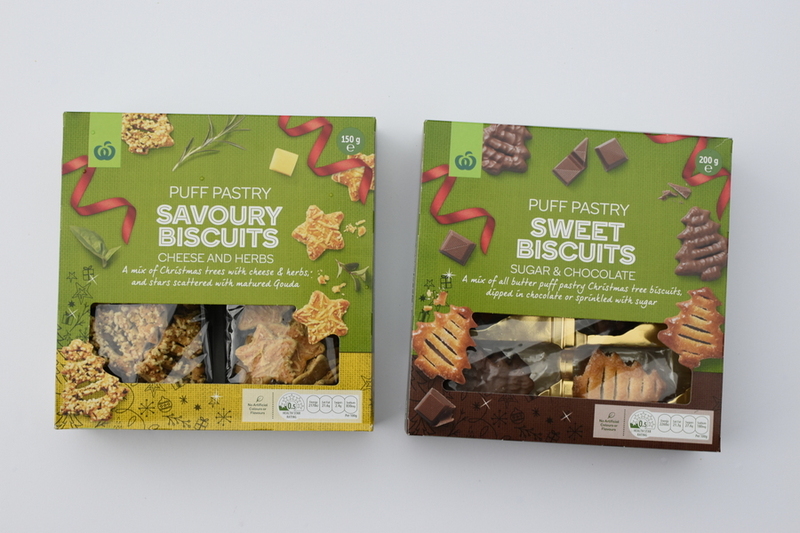 Woolies have an extensive Christmas range this year, including these festive Savoury Biscuitsand Sweet Biscuits. This is great for when you don’t have a lot of time and need to whip something together. 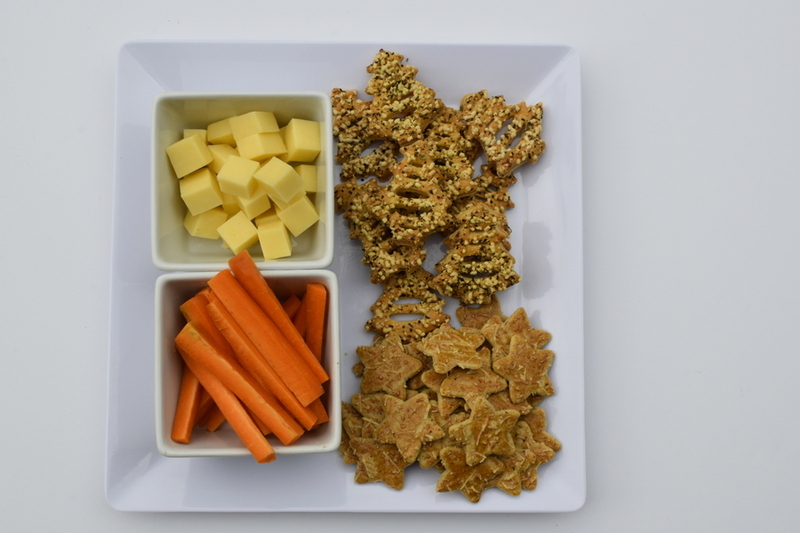 Add cheese blocks and vegetables with the savoury platter. 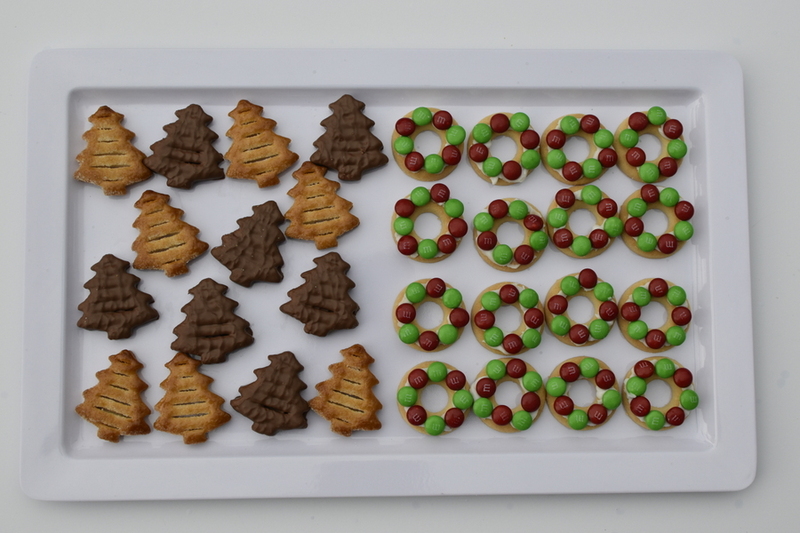 Add a range of festive sweet biscuits to a plate. 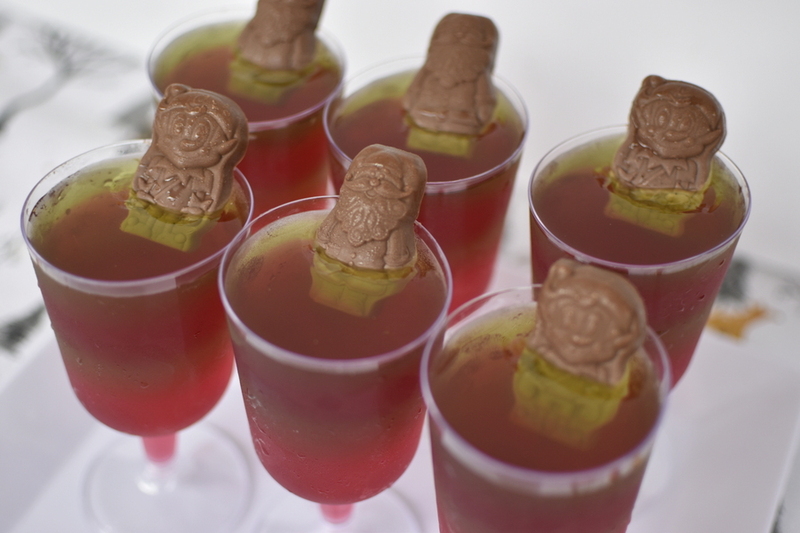 This festive take on Frog in a Pond is a HUGE hit with kids. It’s a little more time intensive (especially if you want to do coloured strip layers), but they are super simple to make. 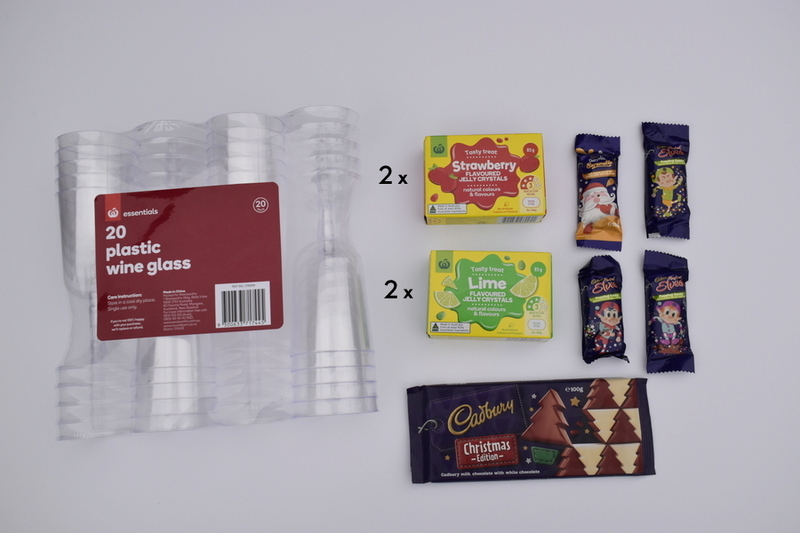 This recipe makes 8, however it would be easy to use a smaller container and make 12-16 serves. For detailed tips for putting this together, click here. 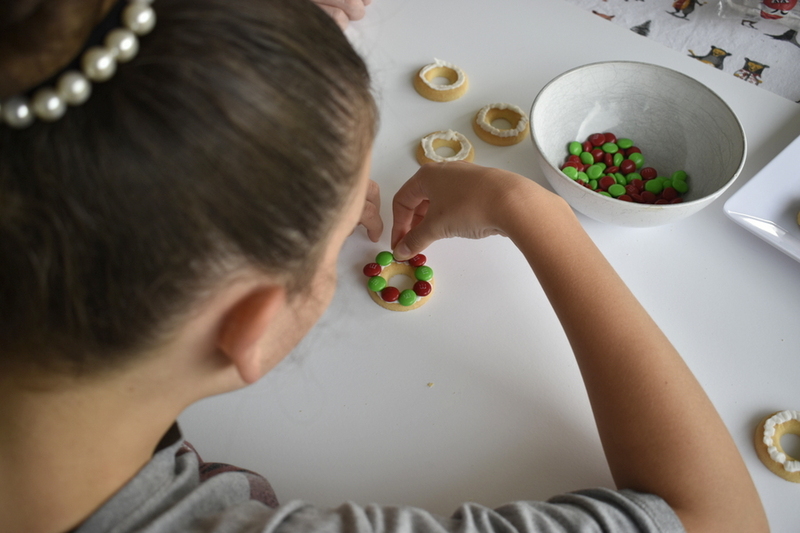 If the kids want to get involved in making Christmas cookies, but you need it to be easy, try these simple biscuit wreaths. 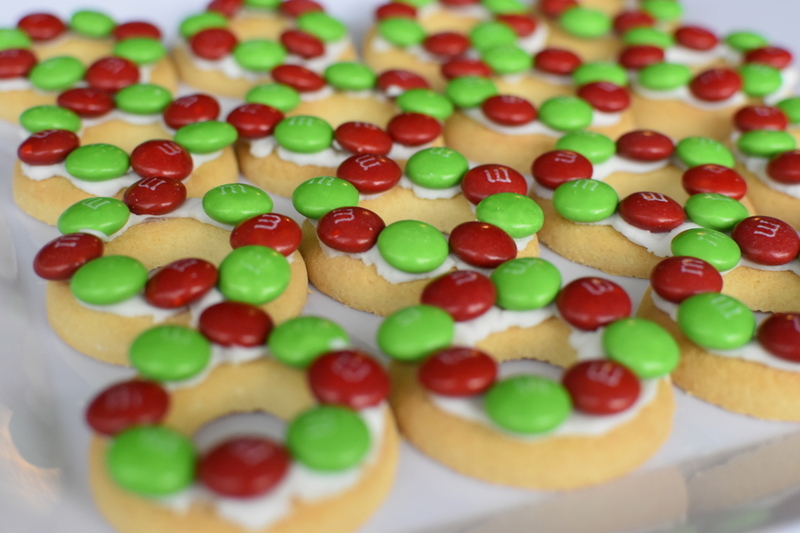 Simply use icing to attach red and green m&ms to the biscuit. It’s good to provide healthy options too. 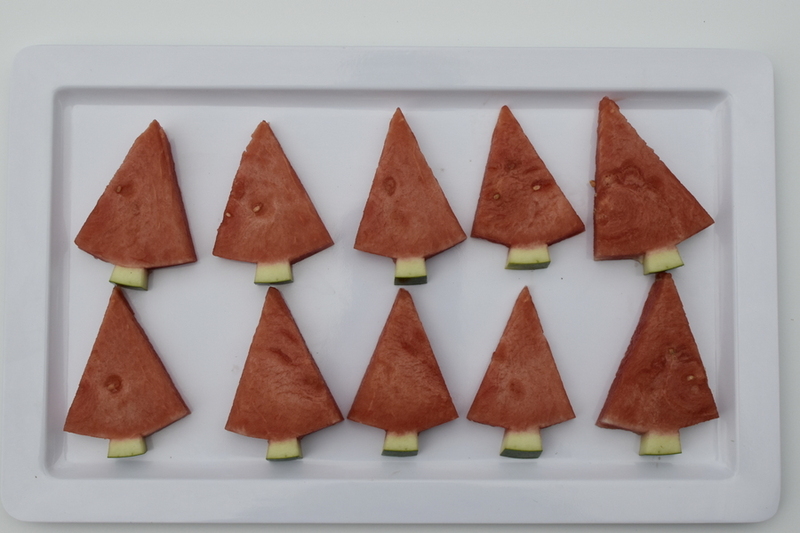 Watermelon Christmas trees are easy and you can either serve them fresh or put them in the freezer for a frozen treat. 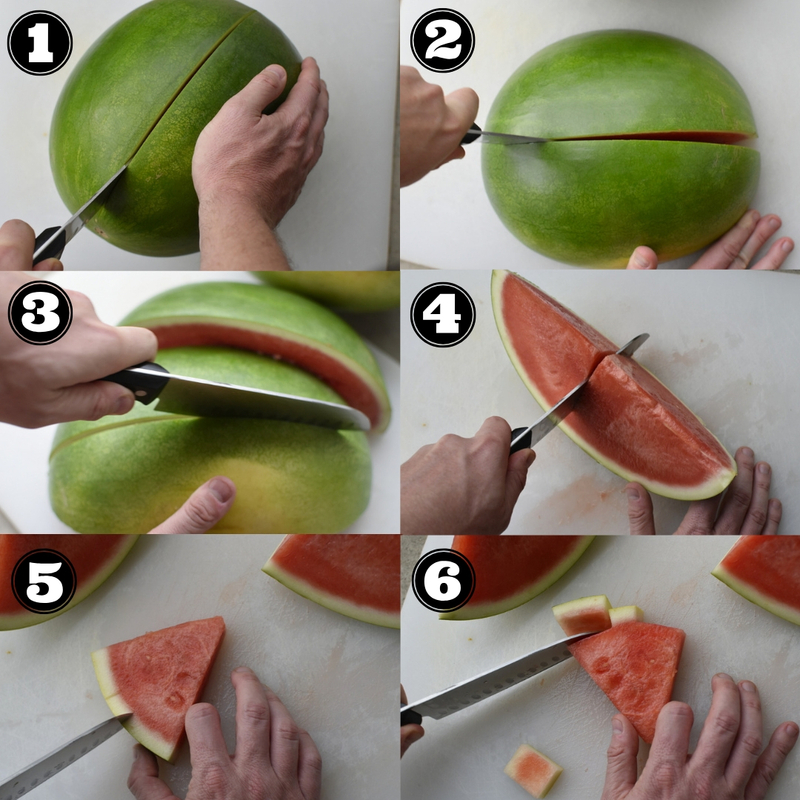 Cut the watermelon in half, lengthways (not across the middle). Take the half and cut in half again, lengthways. 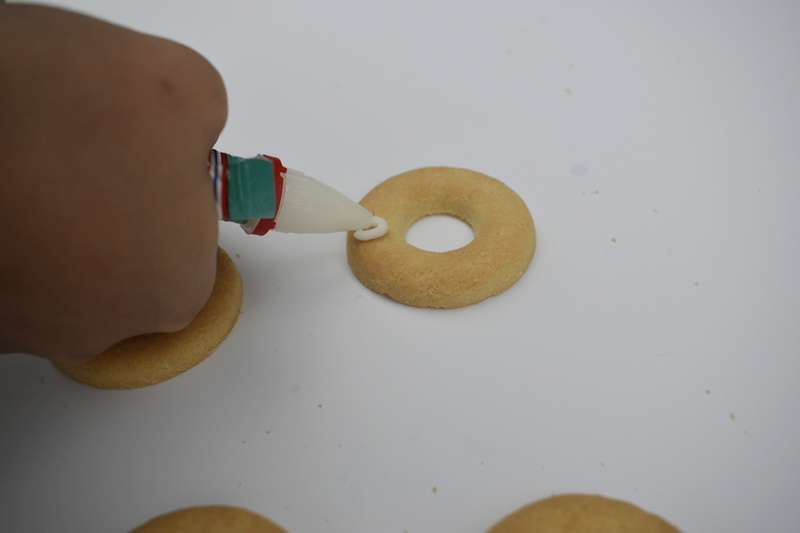 Take the quarter piece and cut in half again, lengthways. 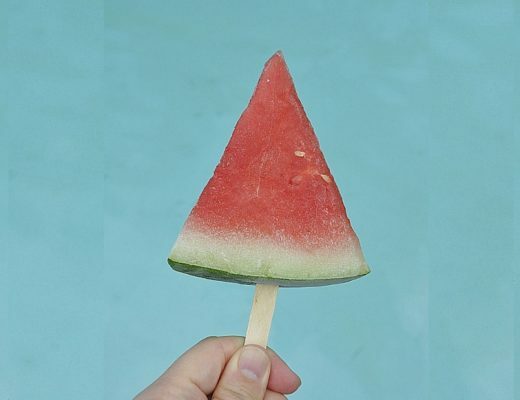 Then cut the watermelon strip into triangle shapes. Cut excess skin away from the tree stem. 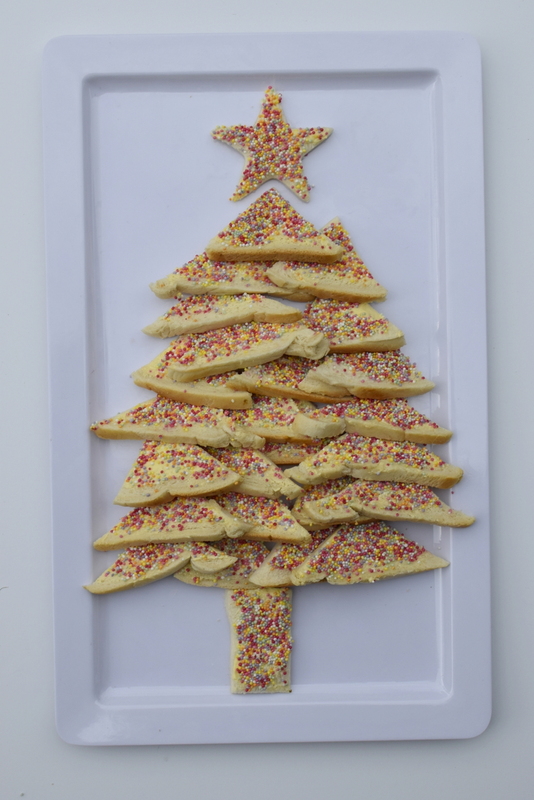 Make this Aussie classic festive by placing the fairy bread on your plate in the shape of a tree. 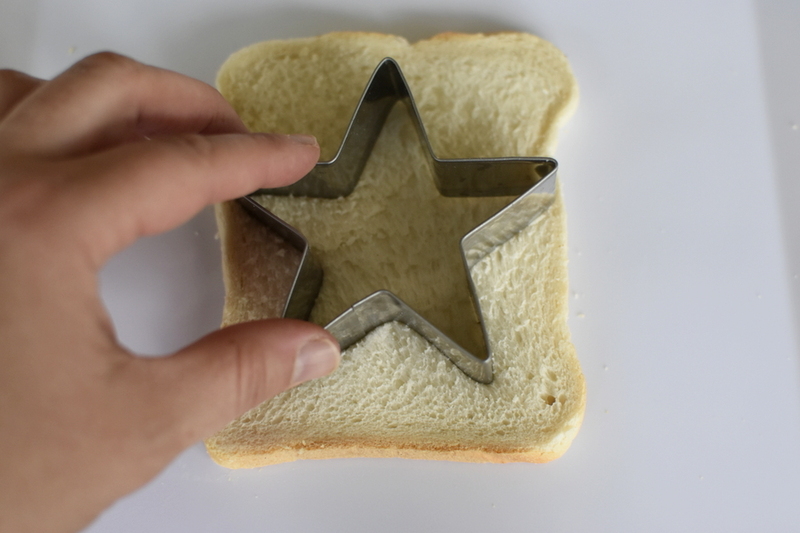 Use a star cookie cutter to cut the bread for the top. I saw these Brandy Snap Baskets at my local Woolies and thought I would give them a try. They were amazing! 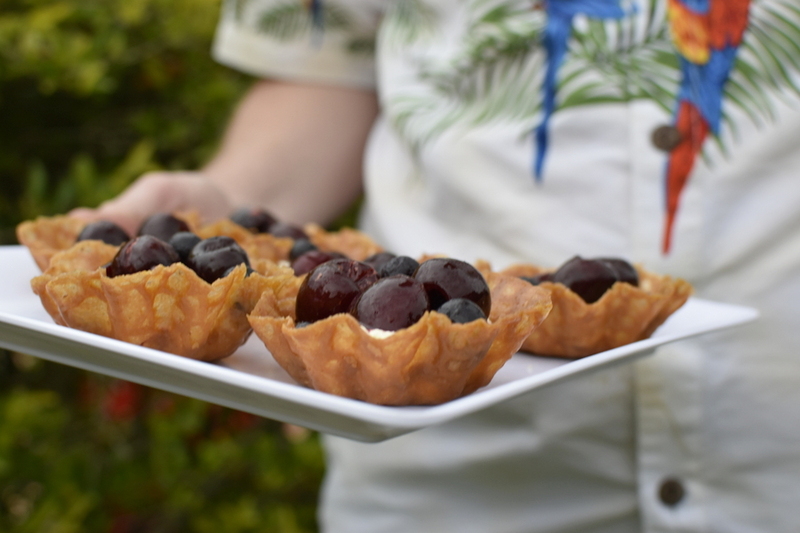 If you need to bring a dessert, pre-whip the cream, and have fresh or frozen fruit ready. I used Frozen Cherries (so-so good) and Frozen Blueberries. Just before serving, slap it all together. Too easy. 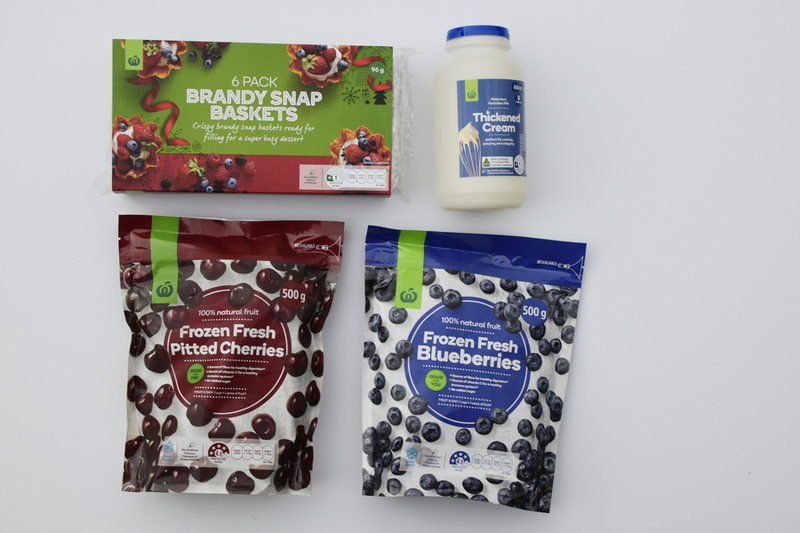 Tip: It’s handy to keep frozen fruit in the freezer for those last minute summer desserts. Bring on the summer gatherings! Next Post Polly Pocket is BACK!